Customers of BT’s own retail broadband ISP business (around 9.4 million of them) recently hit a dramatic new level of internet data traffic after the network peaked at 10.37Tbps (Terabits per second), which occurred during the Manchester City vs Liverpool football game on 10th April 2018. Like other ISPs BT are currently in the process of upgrading their core network in order to cope with the demands of new “ultrafast broadband” (100Mbps+) technologies, such as G.fast and FTTP. On top of that they also need to keep up with the strain on their capacity that stems from ever rising consumer internet usage, which tends to be dominated by online video content (iPlayer, Netflix, Amazon, BT TV, NOW TV, YouTube etc.). As part of that Neil McRae, BT’s Chief Network Architect, revealed some details about their progress during a meeting of the UK Network Operators’ Forum (UKNOF) and you can access the related slides here. We believe that the above traffic figure reflects just fixed broadband and not their mobile network (EE) etc. The other slides are probably only of use to those with an interest in the networking field (e.g. their current routing platform uses the Nokia 7950 XRS and can support 16Tbps per routing node), although they do reveal a few interesting bits of information about how much of BT’s retail traffic is handled by sophisticated Content Delivery Networks (CDN). Caching content deeper in the network (at about 10 regional sites and 3 core locations) helps to offload around 60% of their core capacity and they also serve BT TV (Youview IPTV) content over multicast, which avoids an additional 1Tbps of traffic on the CDNs. My 25TB on USENET last month might not have helped, not that i care lol BT is unlimited and so am I! Especially the ones who can’t accept they are no longer good at their job or needed, and try to pretend they are still important because they know a few people. Those comments seemed to be aimed at something but are entirely lost on me given I have no relationship with any former employer beyond being a customer of a subsidiary of one. I haven’t worked for an ISP since 2006 and the experience and skill set I have now aren’t really compatible. A lot of the debate on ISPreview appears to focus on the availability and speed of the broadband access. There is a continuous theme criticising BT when most of the issues are either Ofcom induced, basic physics or bad luck. This is a timely reminder that it doesn’t matter how fast your broadband connection is; it depends on what you are using your broadband for. Altnets etc may be the way forward to giga speed access by buying standard kit but this will not help the consumer unless they can connect to an similar back haul and not simply to the Internet centres. 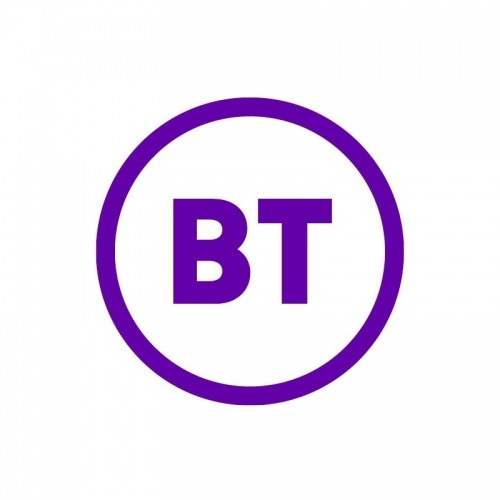 BT demonstrates here the work and investment that is going on to create a common core platform optimised for the delivery of both its own content and the content of others before entering the Internet. I am sure Vodafone, Virgin Media, Sky etc all have similar plans or may buy some services from BT but this will definitely become an increasingly important factor when choosing an ISP. Thanks. Found the Sky presentation January 2018. I am sure there are many ways CDN can be implemented and it is always a balance when or where not to cache just as it is on proxy servers. As for the consumer they will need to understand that their use of the Internet may need to align with their ISP’s approach and they will need richer test facilities to compare the various ISPs. For instance if the primary use is Netflix then then they can use the Netflix test URL. We will need similar for other major contents or a combined one. There will of course be exceptions where it is still better to access some content via the Internet. What I am trying to highlight is that when I had VM VIVID 200 during 2017 it still slowed and buffered at the most inconvenient times with the subsequent family frustration. i.e a CDN type checker not an uncached speed test. Perhaps a short video.